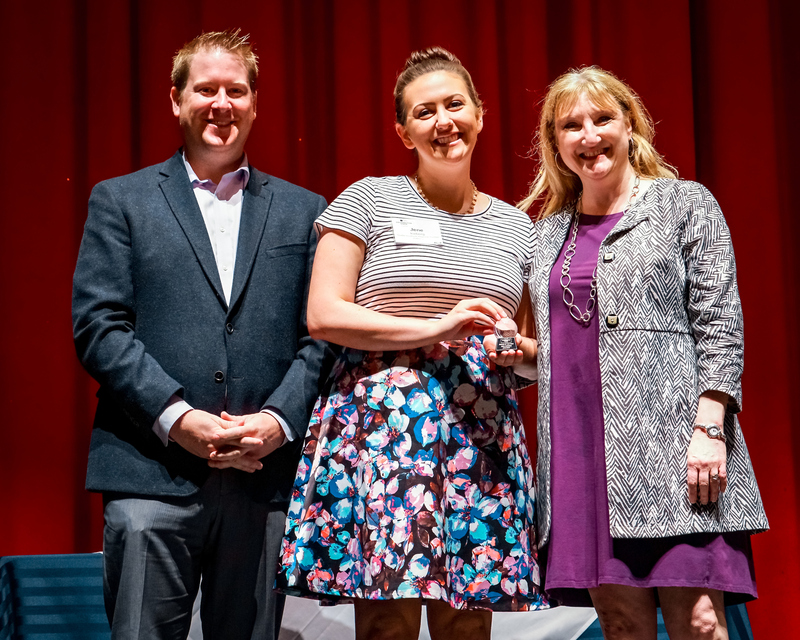 SEATTLE, Wash. (May 26, 2017) – Jené Iceberg, Regional Meetings Manager for Seattle Southside Regional Tourism Authority (RTA), was named “Rookie of the Year” by the Washington State chapter of Meeting Professionals International (MPI) this week. The annual award honors one MPI member who has made exceptional contributions to the chapter in his or her first year of membership. Qualified members are nominated by their peers, and the award recipient is ultimately chosen by a committee. Earlier this year, Jené was honored with MPI’s Shining Star award by the Washington State chapter for her outstanding volunteerism. She served as the chair for the chapter’s annual auction, successfully coordinating a team of volunteers to execute the well-received event. In her one-and-a-half-year tenure with Seattle Southside, Jené has focused on bringing meeting and event planners to the destination, as well as educating industry professionals on the services a destination marketing organization (DMO) can provide. She works closely with many local industry associations, and she volunteers her time to various committees. Jené is currently working on obtaining her Certified Meeting Professional (CMP) certification and her Professional in Destination Management (PDM) certificate. She is also a founding board member of the Seattle chapter of Young Travel Professionals and is rebuilding the group in order to focus on providing opportunities for industry professionals to develop their careers, network and continue influencing the travel industry. Photo caption: Jené Iceberg, Regional Meetings Manager for Seattle Southside RTA, with Troy Anderson of Visit Seattle and Cindy Hartner, president of the Washington State chapter of MPI, at the May Educational Program and Awards Presentation on May 23, 2017. Photo credit: Alan Alabastro and Seattle Southside RTA. Seattle Southside Regional Tourism Authority (RTA) is the official destination marketing organization for South Seattle. The organization is responsible for competitively marketing the area as an ideal destination for leisure and business travelers who wish to explore Western Washington and for meeting and event planners to hold their events. Seattle Southside RTA is funded by a self-assessed hotel fund and supported by a lodging tax from the cities of SeaTac, Tukwila and Des Moines. For more information, please visit www.seattlesouthside.com or call (877) 885-9452.